October 5th, 2018: The stars of Republic Bank shone like diamonds last weekend with a sparkling Saturday night show “Republic Bank’s Got Talent” the final initiative of the Bank’s 40th Anniversary celebrations. By the end of the evening the talent on display was worth significantly more than the modest ticket price. If any among the appreciable audience in the Hall of the Derrick Smith School & Vocational Centre came expecting the typical talent show, they quite likely shared excited, wow-faced or star-struck emojis with any who unfortunately missed a superb show. Indeed when the show opened with accomplished vocalist and calypsonian John King, a former Calypso King now Minister of Creative Economy, Culture and Sports performing Strong Roots… Wide Reach the jingle of legacy institution Barbados National Bank, accompanied by the Republic Bank Chorale, expectations for the evening were immediately elevated. Those soulfully delivered opening renditions of the Republic Bank jingle and official song stirred the audience to more upright seating positions, leaving the atmosphere charged with anticipation. The talented cast of Republic bank staff and guests did not disappoint. 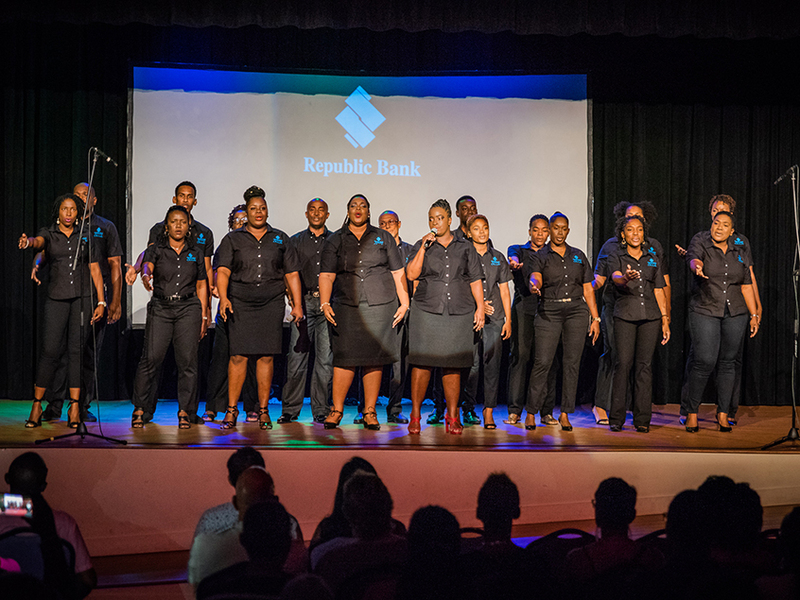 The mixed genre presentation “Journey into the blue” fittingly opened Act I, telling the story of the growth of Republic Bank from colonial days to its expansion into the wider Caribbean and Ghana. 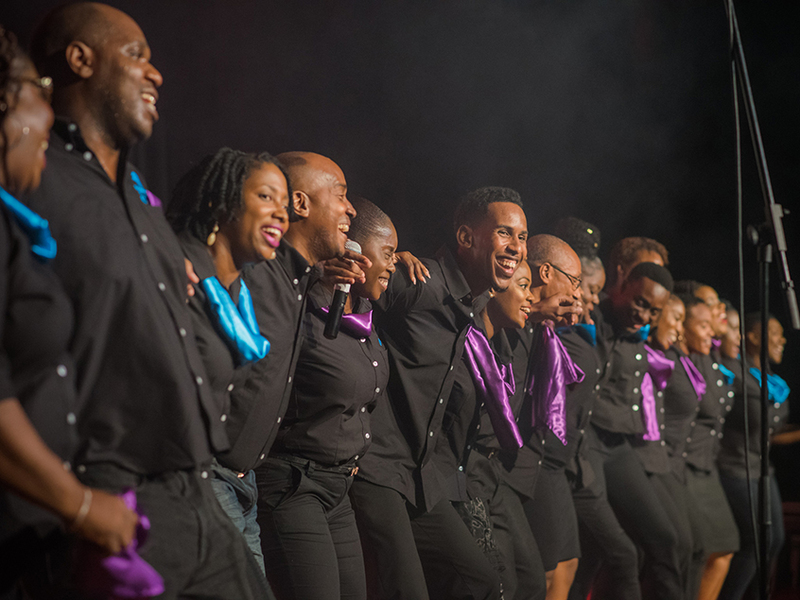 The all Republic Bank cast raised the bar with a riveting performance that set the tone for the remainder of the acts right up to the Act II finale when the Marlon Legall Voice Project moved and mesmerized the audience with a series of dramatic and poignant vocal renditions. Throughout the remainder of Act I the audience showed its appreciation for numbers including Malcolm “Ricky” Niles’ saxophone solo “A Night at the Movies - Love in Transition” which transported listeners to a magical world of love, seamlessly blending several popular movie tracks including My Heart will Go On from the epic Titanic and A whole World from Disney’s Aladdin. Also standing out in this half was the Barbados National Youth Symphony Orchestra string ensemble, a group of young musicians, who with guitar, violin and cello ably showed how they had earned Merits and Distinctions in their Music Practical studies. The audience also enjoyed the Andrea Bocelli and Sarah Brightman track “Time to Say Goodbye” beautifully rendered by Malcolm “Ricky” Niles’ and Lana Husbands, along with the Republic Bank Chorale’s presentation of The Hymn of Joy by Henry Van Dyke Jnr with music composed by the great Ludwig van Beethoven. 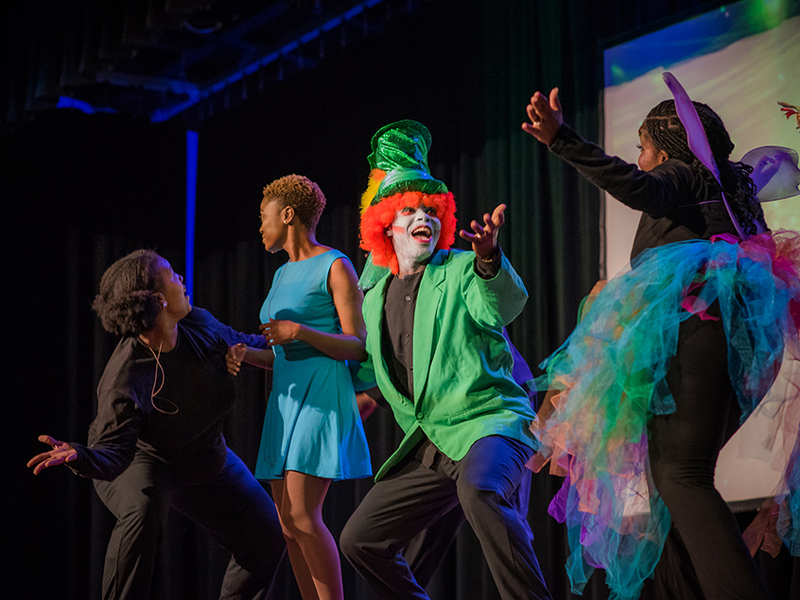 Two dramatic numbers “Republic Bank’s Got Talent – Embracing Change” and an imaginative adaptation of “Alice in Wonderland – Down the Rabbit Hole” sated the audience’s appetite ahead of intermission. Act II opened with probably the most exciting and dynamic group presentation of the entire evening – “Fifty Shades of Blue - E Pluribus Unum (Out of Many One)”. 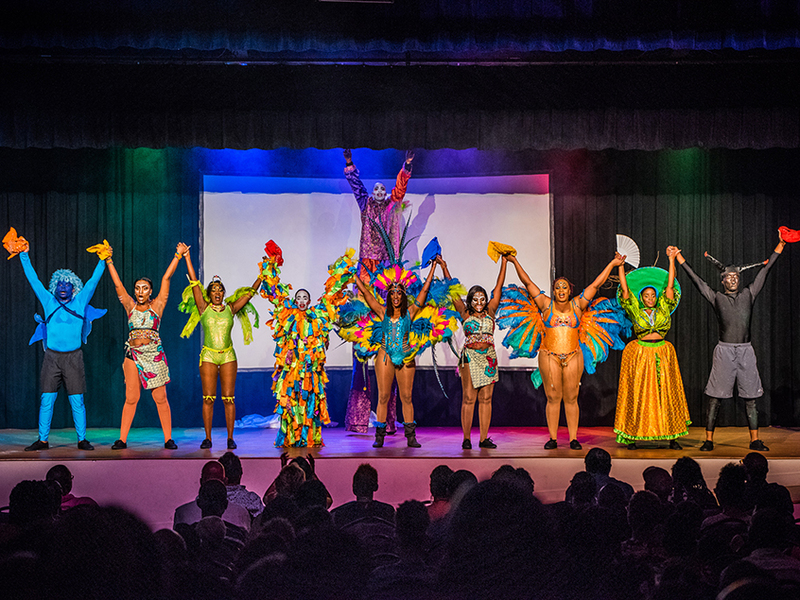 This colourful display of the coalescing of Caribbean cultures was thoroughly enjoyed by all including no less than Cultural Ambassador, Dr. Anthony “Gabby” Carter and Culture Minister John King who showed their appreciation from their front row seats. 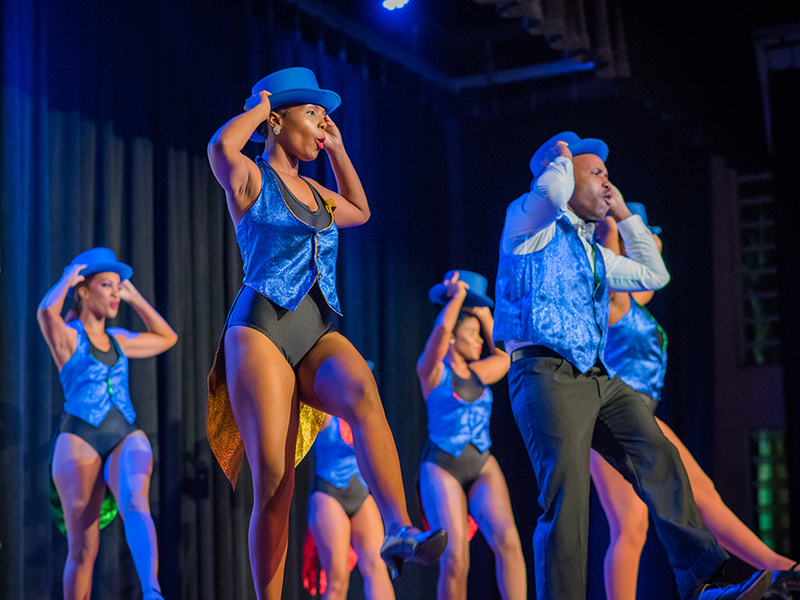 Amber “Amber Stone” Hoyte performing “Syrup and Honey” by Duffy and the self-penned “What Devils Do”, and a triple presentation of powerful dance numbers by the Barbados Dance Project earned the full appreciation of the audience. 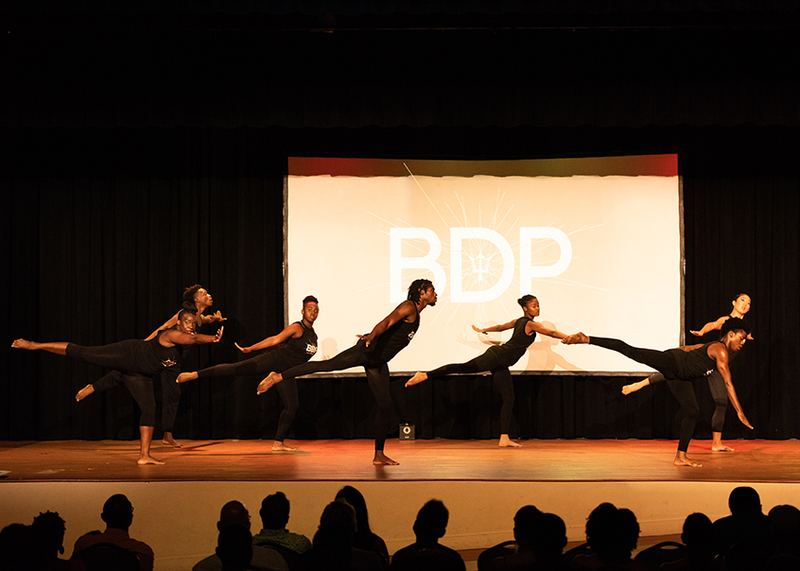 Credit for a wonderful evening must go to Producer, Debbie Stoute, who wrote or co-wrote several of the mixed genre presentations; Creative Director Dawn-Lisa Callender-Smith; and Voice and Technical Director, Stephen Brathwaite. Appreciation also to the entire crew including production coordinators mainly from the Republic Bank Marketing Department. The applause on the evening spoke for itself in acknowledging the talents of a host of singers, dramatists, musicians and dancers who after last Saturday’s outstanding Republic Bank’s Got Talent performances have nothing left to prove.